Paul was regularly in mixed Jew-Gentile mixed settings, so how could he live as both a Jew and Gentile at the same time? This “portrays Jews as simpletons” (p12) for not noticing Paul’s spotty Torah-observance. Such two-faced behavior “would have been seen as unprincipled and devious” (p13). Numerous Pauline or Lukan texts “appear to be at variance” (p13) with this view. The next three chapters undermine that Paul’s Jewishness was erased or inconsequential in Christ. Chapter 2 engages with ten texts that appear to argue as such (Acts 16:3; 1 Cor 7:19; Gal 5:6; 6:15; Gal 3:28; 1 Cor 10:32; Rom 14; Gal 1:13; Phil 3:8; Gal 2:14). A Torah-observant Paul is then defended from Acts 21:17-25; Gal 5:3 and 1 Cor 7:17-24. Chapter 3 examines the larger context of 1 Cor 8:1-11:1. Rudolph concludes against Paul holding a “stance on idol-food that burst the bounds of Second Temple Judaism”. Rather, his teaching is consistent with the Acts 15 apostolic decree and “informed by Jewish thought” (p108) on idolatry, unclean food and stumbling others. Chapter 4 then considers potential backgrounds for Paul’s thought in 1 Cor 9:19-23. The passage finds parallels with Jewish texts, and particularly the teachings of Christ. Next, individual phrases from 1 Cor 9:19-23 are considered in detail. For example, “under the law” is best understood as referring to a strict Pharasaic interpretation of the Law, and the “law of Christ” better understood as “the law of Moses in the hand of Christ” (p170). These modifications allow for a Torah-observant reading. Finally, chapter 5 offers a positive re-reading of 1 Cor 9:19-23. This passage is based upon Jesus’ own non-compromising accommodation with sinners. Paul “became as” others by associating with them in table-fellowship and following their customs, but without compromising Torah. So rather than simply eating unclean food with Gentiles, Paul likely abstained from clearly unclean food, but did not raise questions concerning the origin of meat served to him. Such an approach is both consistent with 1 Cor 8-10 and Jewish thought. Therefore, “Paul considered his actions to be within the boundaries of Torah observance” (p206). 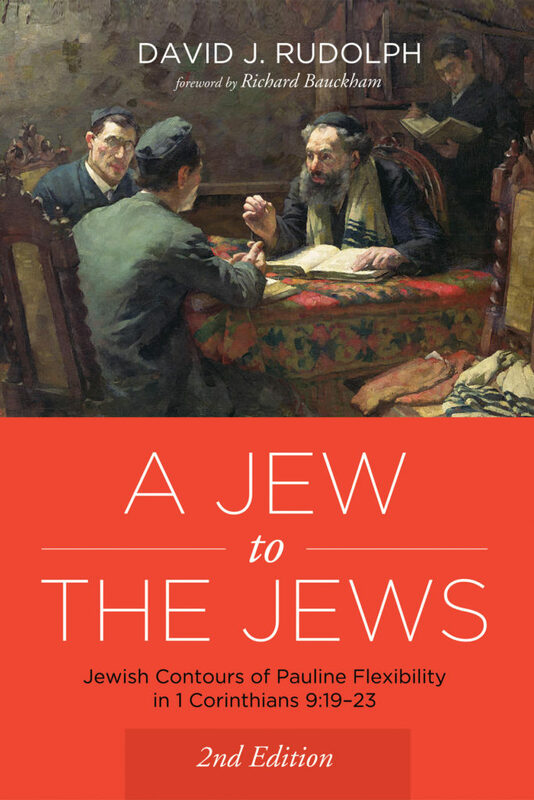 A Jew to the Jews is both fascinating and challenging. One need not agree with Rudolph’s unique (re)reading of 1 Cor 9:19-23 to recognize that he thoroughly undermines the assumption that Paul wasn’t Torah-observant after Christ. The numerous challenges to that assumption in chapter 2 require close attention and are worth the price of the book. Positively, Rudolph’s view of Paul maintains enduring Jewish distinctiveness whilst preserving unity in the body of Christ. A Jew to the Jews provides an important perspective in the Israel-church debate, as many on both sides assume that Jews must effectively become Gentiles upon receiving Christ. Instead, what if Jews and Gentiles are equal in Christ, and yet remain distinct? A Jew to the Jews ought to be required reading for students of Paul. This second edition includes interaction with recent scholarship as well as an appendix tracing the development of post-supersessionist scholarship and upcoming books and commentary series. I eagerly await new scholarship from the post-superesssionist perspective that Rudolph represents. Many thanks to Wipf & Stock and Pickwick Publications for a review copy.